I worked in an office facing south with poor air conditioning. In sunny days any time of the year it was quite stiffing inside. There was a terrace and the other project managers and I were often tempted to get out for a sip of fresh air. On the door was a warning sign reading Alarm! Do not open! The door was connected to office security system and every time one of us broke the ban a flashing red lamp informed the guards. Every now and then they would come up checking the door and reinforcing the message to not open it. This had little effect when it was hot. We kept going out and the guards kept coming upstairs to check. One morning we found the door sealed with multiple stickers shouting in big red letters Do Not Open! We wouldn’t dare to open it anymore. Instead of enjoying the sun from now on we felt like in a closed jar. On top of that some empty coffee cups and unburned cigarettes were left on the terrace. The person who sealed the glass door had not cleaned outside. This situation and its “resolution” resemble what happens sometimes in projects. One example is pushing a deliverable that does not meet customer needs. Our duty as project managers is to complete the project as defined, right? And the only way to do that is to seal each completed deliverable with a Do not open! sign. There are many challenges that may stand in the way to project completion though, some of which outside of project manager’s control. Consider for instance if halfway through a project it becomes clear that its scope no longer meets customer needs. 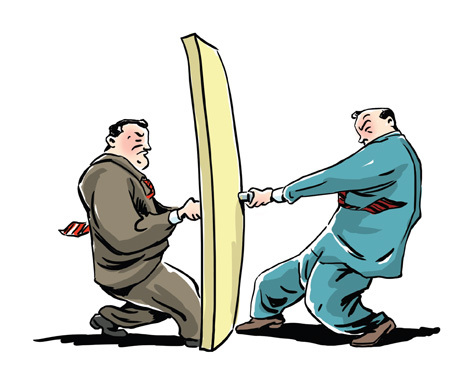 It is hard and challenging for big organizations to go back to negotiation table and re-negotiate a big deal. On the other hand, we have to keep customer happy which means reaching win-win solutions. Every experienced project manager will testify that in real life projects this is not easy at all. Not slamming the door and at the same time being able to complete the project is a real art.